Is there a better alternative to PEMDAS? Is PEMDAS really the best app in Mathematics category? Will PEMDAS work good on macOS 10.13.4? PEMDAS is a scientific calculator app with an easy-to-use interface for doing calculations with equations and variables. 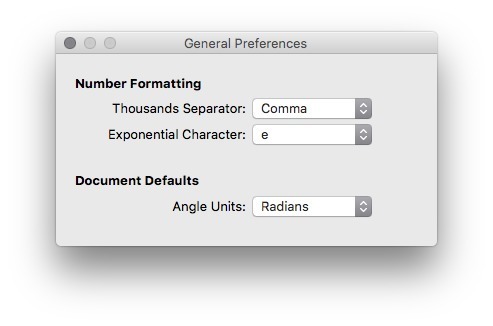 The most important feature of PEMDAS is working with equations. Simply type in an equation, hit enter, and you have the answer! Above the entry field is the equation history, where PEMDAS displays all your previous calculations. On the side of the application is the variable list. 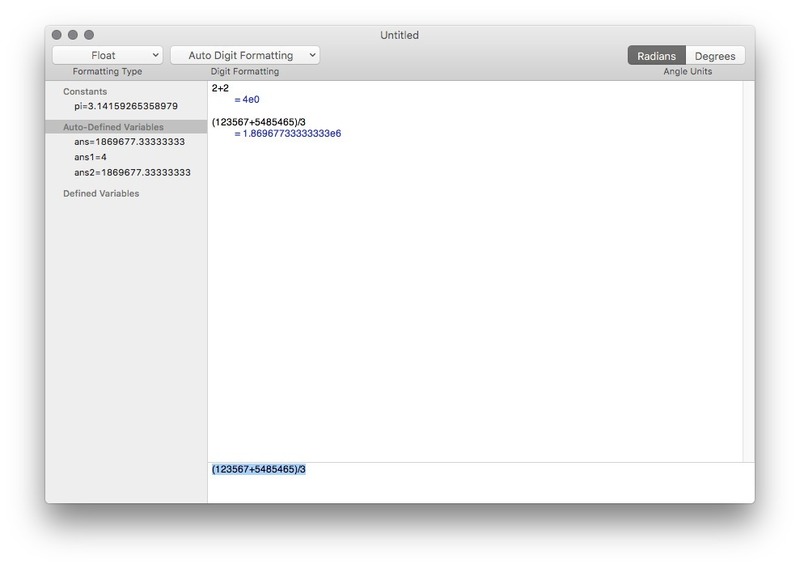 This lets you easily see all of the variables active in the current document. Fixed a bug where nothing would happen after pressing "enter" with certain equations. Added a cube root function, accessible by typing cbrt(). Changed the way the ans variable works, so now it is just a shortcut to the previous result, rather than an actual variable. Increased speed of the calculation engine. 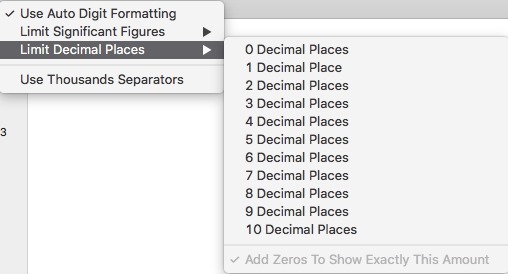 PEMDAS has several different kinds of number formatting, including float, scientific, and engineering. 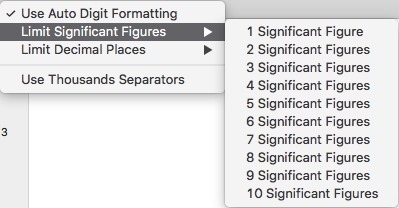 It also lets you specify the number of decimals or significant figures to display, and lets you add thousands separators. Click on green zoom button in the upper left hand corner of the window, and the window will resize into a much smaller window.